places of interest, gastronomy and vineyards. 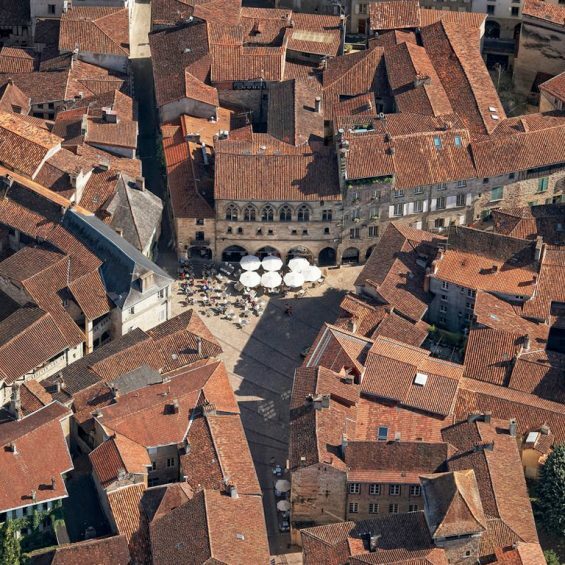 This truly breathtaking medieval town is the second most favourite site in France. The pictoresque little town clings 150 meters high to the sheer rockface of the vallée Alzou. Dating back before the crusads steeped in amazing history and folklore. From the ramparts of the castle there are some magnificent panoramic views. Lacomté is just a 20 minute drive away and we highly recommend a visit preferably in the morning. 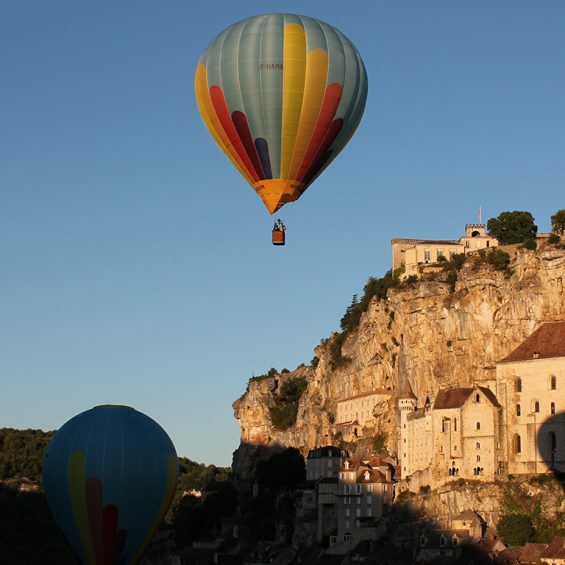 There are many more places around Rocamadour to visit including the Préhistorique Grotte des Merveilles, la Forêt des Singes and le Rocher des Aigles, Maison des Abeilles. Rocamadour famous for it’s goast cheese. This beautiful unspoilt town is just a 40 minute drive away. It has magnificent buildings and incredible architecture – do not forget to look it up, it’s amazing. Narrow cobbled streets guide you to the many restaurants, shops and alleyways all leading to somewhere of interest. On Saturdays the town comes alive and the many restaurants and cafe’s overflow whilst locals and visitors alike enjoy the lively street market. Frances favourite village perched high above the river Lot, it’s castle ruines now a view point, once a strong hold of the French during 100 years war. A beautifully picturesque villqge with it’s narrow cobbled streets an amazing architecture, the many boutiques and cafes make it a must see. 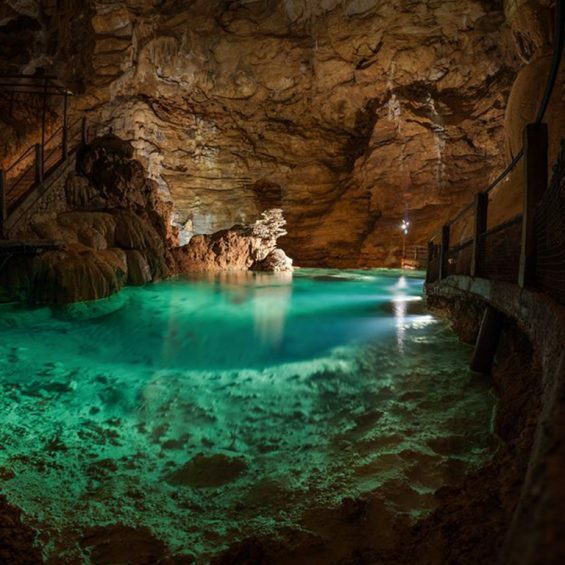 This magnificent cave system with it’s 700 hundred meter underground boattrip is enchanting full stop. 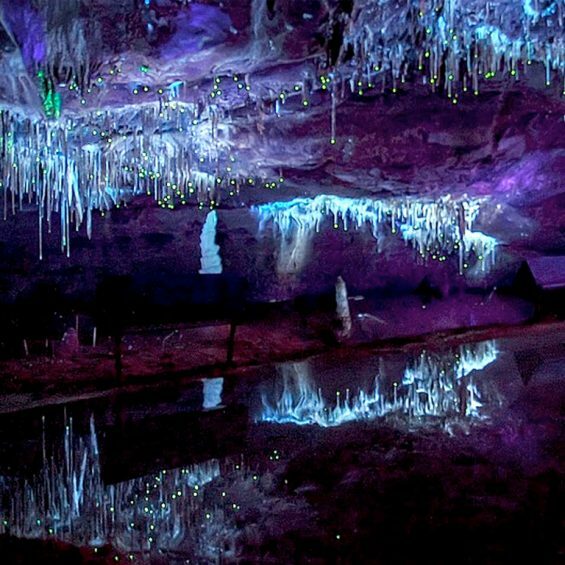 The smooth chrystal clear waters and the amazing lighting effects bring out the outstanding beauty of the rock strates. It’s is advicable to book to avoid the qeues. We are more than happy to do this for you, ask at reception on your arrival. 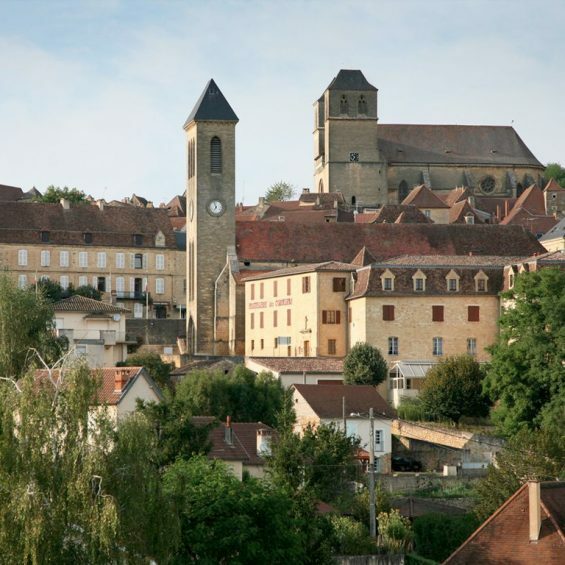 A delightful old market town on the borders of the Quercy & Périgord, built of honey coloured stone, rises in tiers up a rocky hillside. Gourdon was a the French side in the Hundred years’ War & was burned by the English. Start your visit at the top of Gourdon and the ‘Table of Orientation’, enjoy the lovely view. Just below is the imposing St Pierre’s church that was built in the 15thC. 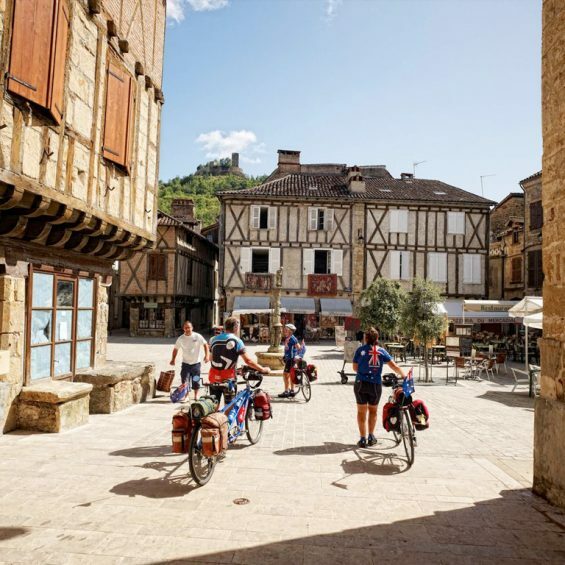 Below and around the Church you have a maze of narrow winding streets and medieval architecture that take you down to the main street which forms a circle around this pretty tree line town with it’s many pavement cafes and little shops. A town set in a superb setting, its towers and belfries, ancient houses and bridges almost encircled by the river Lot. 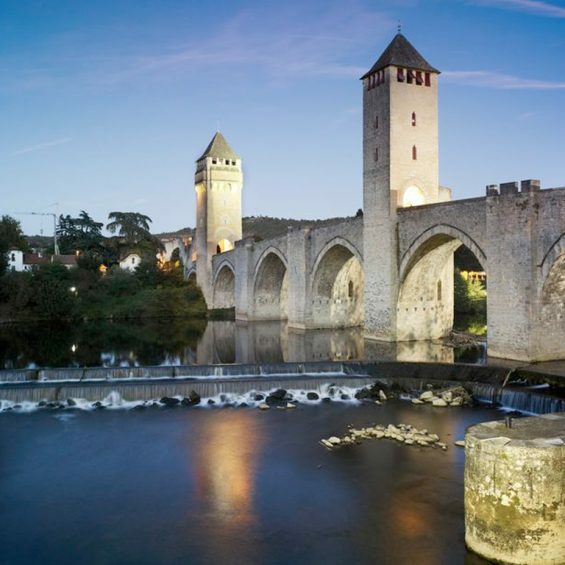 The famous Valentré bridge is magnificent and was built as a fort to defend the town. The Saturday market is superb an absolute delight, with it’s traditional atmosphere you will find many specialities of the region. There are also 198 chateau vineyards to visit in The Vignoble of Cahors. 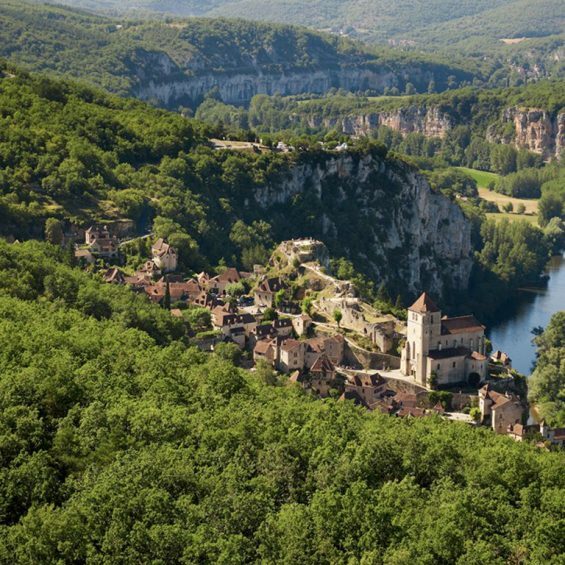 Gramat is a small lively town near Rocamadour within the Causses du Quercy Regional Natural Park. The 16th century clock tower, is substantial stone tower that stands above one of the original arched gateways into the town’s centre, where you will find the ‘Old Market Hall’ that holds fresh produce markets on Tuesday and Friday mornings. 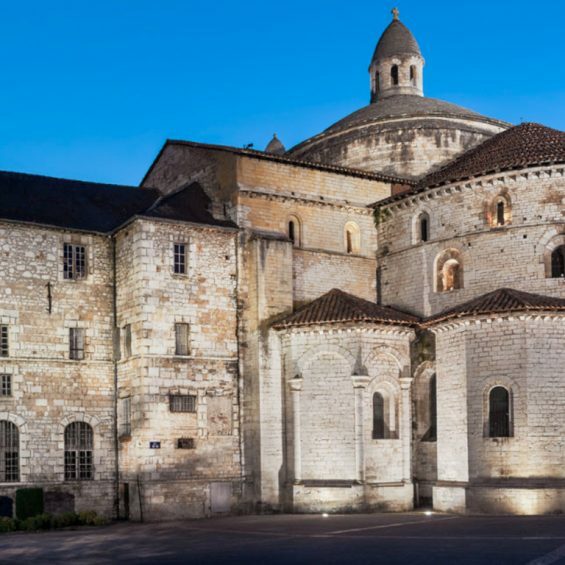 The town is full of old interesting buildings dotted along windy back roads, and ‘Les Jardins du Grand Couvent’, the local Convent gardens are open to the public, where you can enjoy a picturesque walk through the beautiful flowers shaded by the trees. Close by at Couzou you can visit the restored ‘Château de Pannonie’, where Charlotte Grey was filmed. The Caves here are also well worth visiting. You descend by train and then have a guided walking tour. What you see is spectacular, the lighting is superb and the reflections in the water are beautiful. 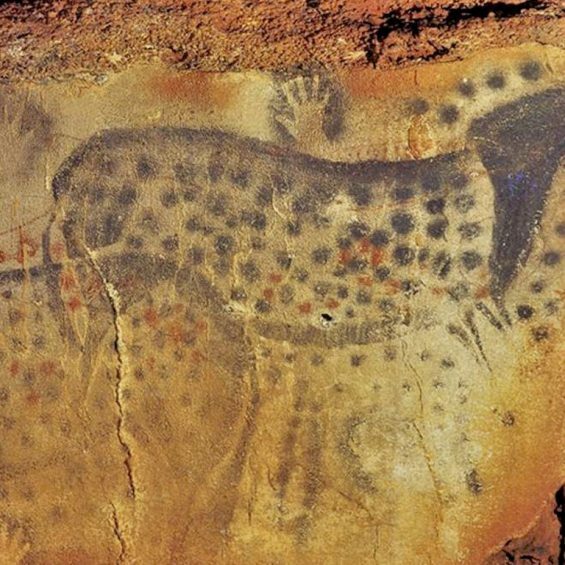 It is the home of one of the few Palaeolithic cave painting sites in France open to the general public. Extending for more than a mile from the entrance are caverns the walls of which are painted with dramatic murals dating from 25,000 B.C. The walls of seven of the chambers at Pech Merle have fresh, lifelike images of a woolly mammoth, spotted horses, reindeer. Footprints of children have been found more than half a mile underground. It’s cool inside making it a perfect outing on a hot day. 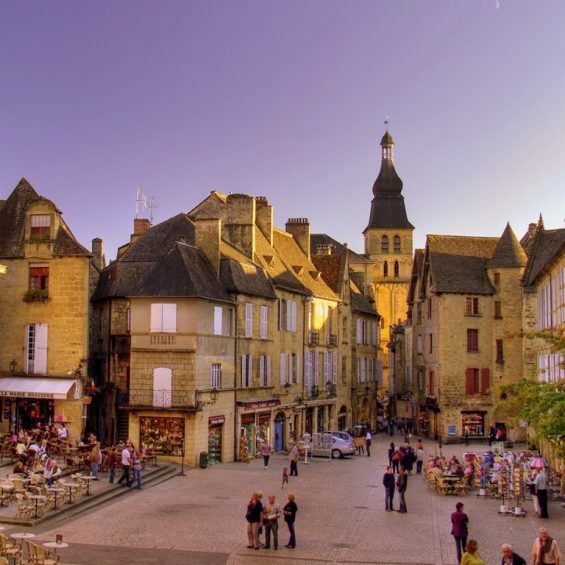 Well known as a lively town, markets and the beautiful river Dordogne which peacefully meanders its ways through exquisite countryside. The town hosts an annual jazz festival in July. The abbey church has famous Romanesque carvings.For canoeing this river is ideal. Just a 30 minutes drive from Lacomté takes you there. The town is on the main railway line from Paris to Toulouse and is about 15 km (9 mi) south of the Brive–Souillac Airport which has international flights. 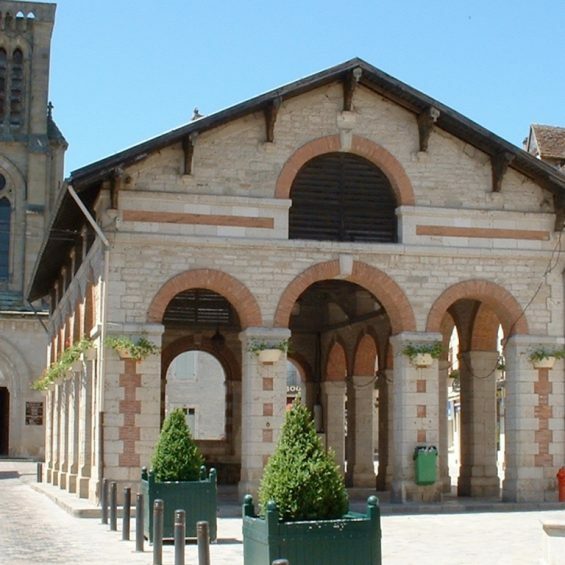 St Céré is a lively, bustling market town situated in the Bave River valley with many interesting places to discover. Residing above the town is ‘The Chateau de Saint-Laurent’, the main part of the castle dates from the 12th and 15th centuries, and enjoys lovely views across Saint-Céré and the countryside which played an important role in recent history when the artist Jean Lurçat operated a secret wartime radio for the French resistance from here. As a result there is a very interesting museum of his art work, typically large and colourful tapestries and paintings, well worth a visit.